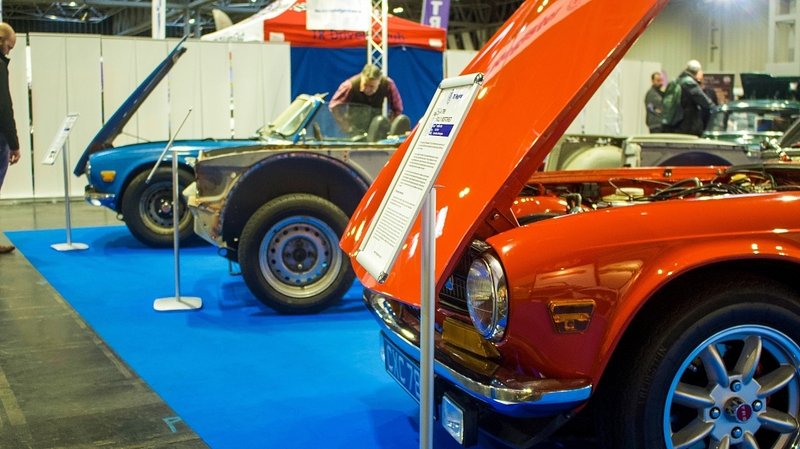 This year's Practical Classics Classic Car & Restoration Show, with Discovery, broke even more records for attendance with 28,846 fans packing into the halls at the NEC in Birmingham over the final weekend in March. The crowds were drawn in with more halls and even more clubs, with a total of 174 displaying alongside us all to enjoy live working, demonstrations and over 1,300 display vehicles. For the TR Register, it was a chance to tell the TR6 story in the model's 50th anniversary year, with a crowd pleasing selection of cars that not only captured the imagination of Triumph fans but also caused quite a stir with the classic car press as well with Classic Car Weekly featuring the club stand's oldest surviving TR6 exhibit on the front page of their show special. It was also the very first outing for the club's all - new display stand and thanks to the hard-work and countless late nights put in by Nigel Clueley and his son Adam, this was a really proud moment for everyone. A stand that is sure to draw crowds for many years to come. TS2 - Where it all began. 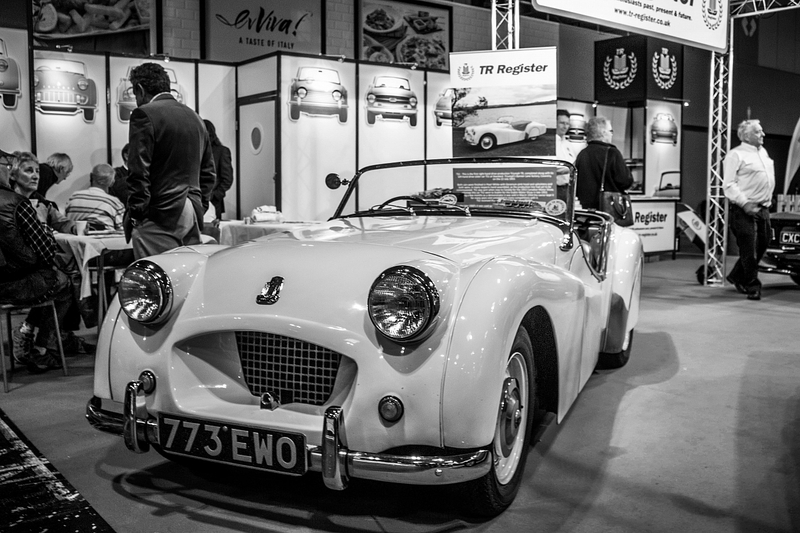 The club's very own TS2 was on display, not only to showcase the jewel in the TR Register's crown, but also as a reminder of where the family line of the 'separate chassis' TRs began, some 16 years before the release of the TR6 in 1969. 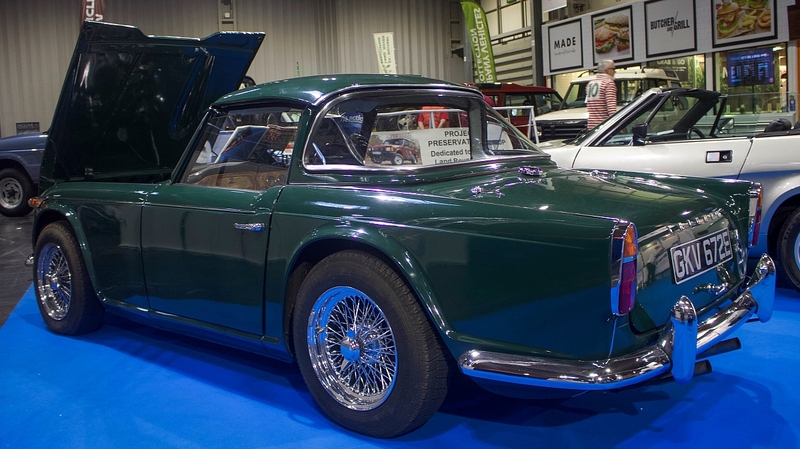 This car started life as an ordinary conifer green Triumph TR4A in the factory fleet, but was later used by Karmann of Osnabruck in Germany to develop/design the bodywork of the TR6 as the factory had no access to the limit numbers of TR5s built! The oldest surviving TR6: NNB 249G (awaiting restoration). Built on the very first day of production, 19th September 1968, at the Standard Triumph Factory in Coventry, the car was shipped to California for sale to the US market. It was imperative that when the TR6 was launched to the public at the Brussels Motor Show in January 1969, that the factory was ready to 'hit the ground running' with delivery into the most important market for Triumph, the USA. TR Enterpises, nr Blidworth kindly donated this rolling restoration project to give a taste of what a TR6 looks like, stripped bare and mid-restoration. An ideal chance to look at all those nooks and crannies if you are rebuilding a car yourself. 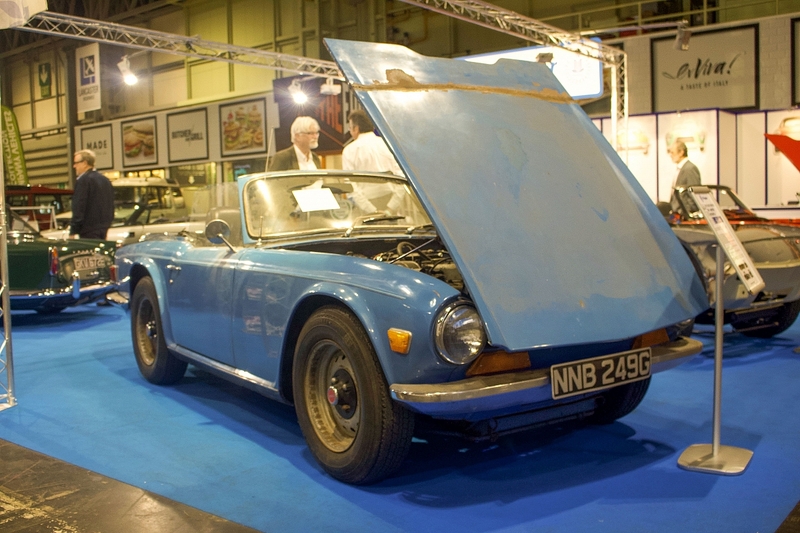 This TR6 was born on 3rd September 1971. She is Pimento Red and came with a straight 6-cylinder engine of 2500cc and Lucas mechanical fuel injection giving 150 BHP and a 0 to 60 mph of 8 seconds. Now tastefully upgraded for frequent use with a mildly tuned engine, this car is a stunning example. 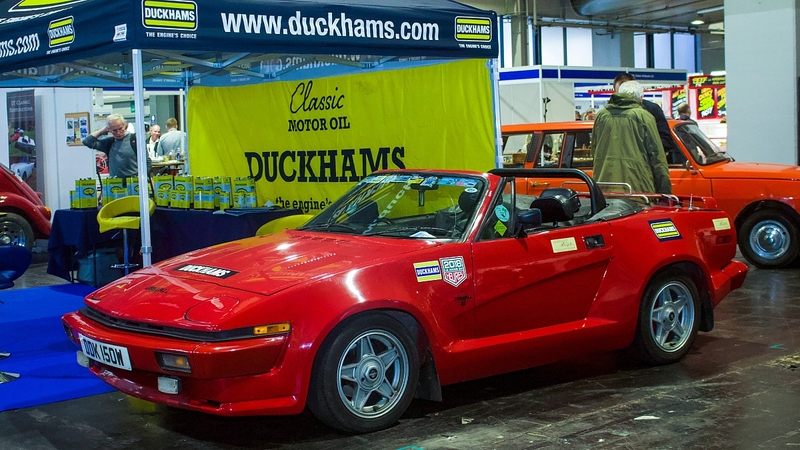 TR7s sold more units than any other TR ever built and the late model convertibles are the best of the bunch. 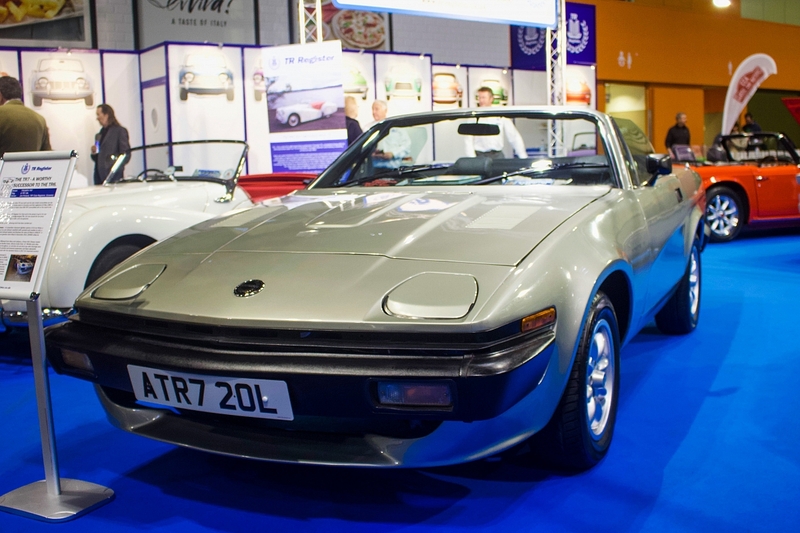 Built at the Canley plant in Coventry and first registered 23 May 1980 in South - East London, this is one of fewer than 650 TR7 convertibles left on the road in the UK. 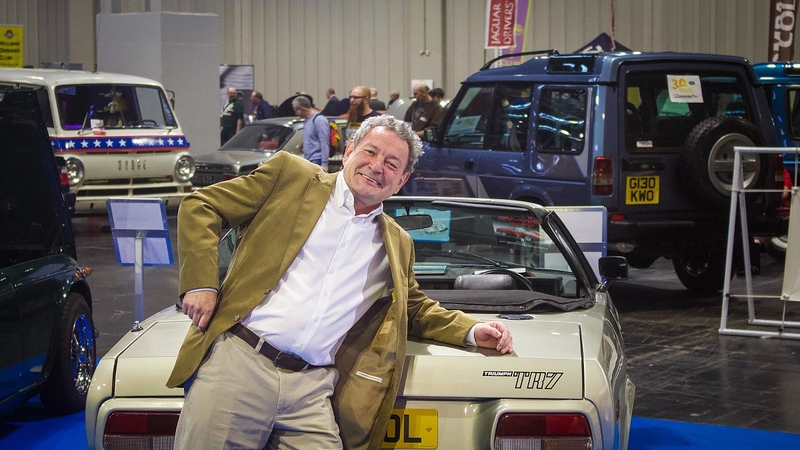 Jim is the TR7 registrar for the TR Register Car Club and is the person to go to for any advice or questions regarding the wedge-shaped TRs. Jim has owned the car since September 2003 and the mileage is believed to be genuine. 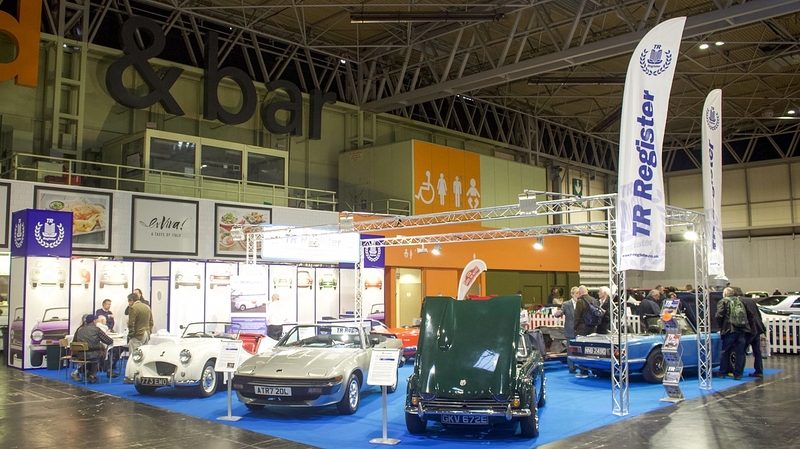 Show Director Lee Masters said: "Once again the classic car community has exceeded all expectations and helped to create a fantastic three-day festival of everything motoring. The time and effort the clubs put into their displays, especially with the live working, is incredible and we are in awe of what they achieve. "This show continues to go from strength to strength, even in uncertain times, and we thank everyone involved – partners, sponsors, traders and visitors – in helping to make this the best show to date." 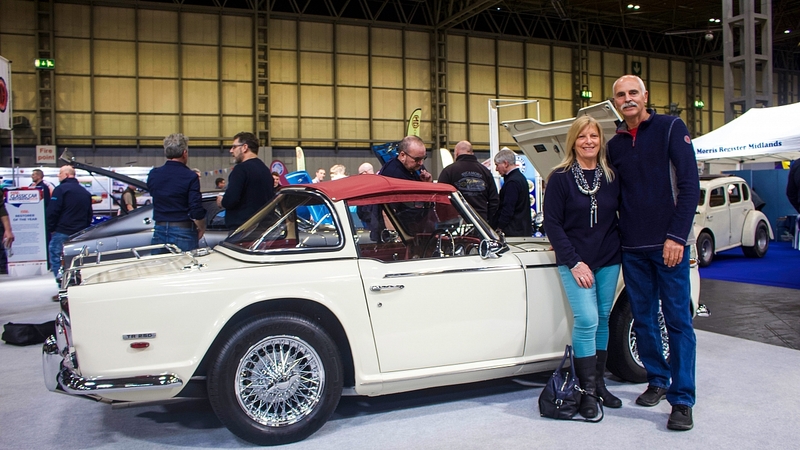 The TR Register had an entry in the contest in the form of the stunning TR250 of Steve and Dee Potter. 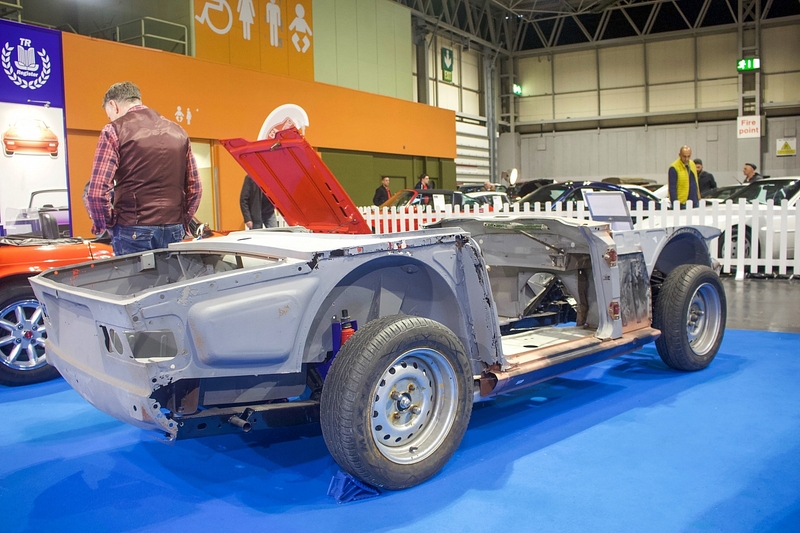 The husband and wife team's partnership brought a rusty American - spec Triumph TR250 back from the brink, turning it into something they could both enjoy together, A family endeavour - creating a thing of beauty. Although they might not have taken top honours, they will of course always be winners in our eyes! Paul Henly and his superb 1974 Datsun 240Z was voted by Practical Classics readers as the Restorer of the Year. Paul acquired back in September 1998 and having owned Datsuns in the 1980s he always fancied one of these impressive sports cars and chose one as his first restoration. The 'Golden Spanner' trophy was presented by Practical Classics Magazine's editor Danny Hopkins and Wheeler Dealers' Mike Brewer. 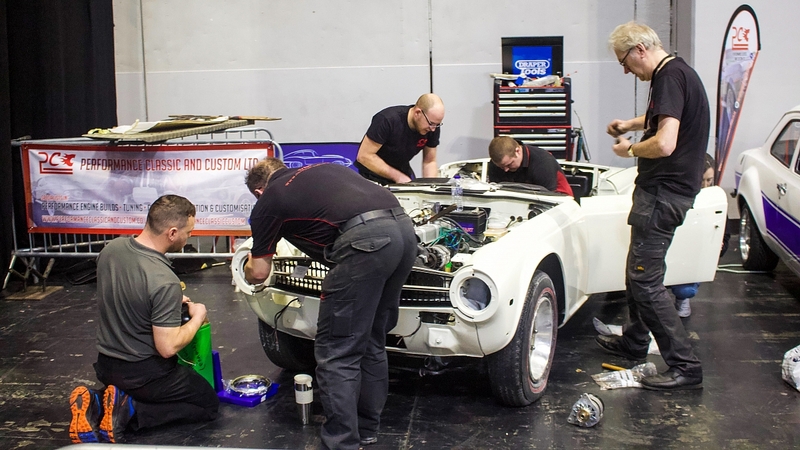 Everyone in attendance on Sunday afternoon looked on with baited breath as the live stage team, who had been rebuilding a TR6 live on the satge throughout the weekend, finally started the engine and drove the car away. Its owner, Matt George who writes for Practical Classics Magazine will be using the car for his wedding in just a few weeks time and we know his father Keith, wh is an active Wharfedale group member of the TR Register had more than a small hand to play in the car's successful restoration! Well done guys! 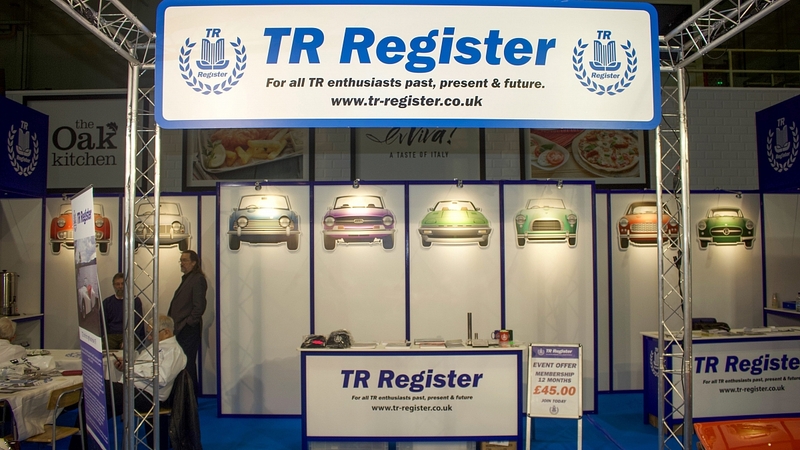 A further congratulations goes to TR Register Honorary President, Graham Robson, who won for the club at the 2019 National Car Club Awards by scooping the ultimate and most prestigious of all the awards, the Lifetime Acheivement Award, in his 25thyear as Honorary President of the TR Register. You can read more about that here. TV motoring celebrities attending included Wheeler Dealers' Mike Brewer, Car SOS' Fuzz Townshend and Tim Shaw, Salvage Hunters: Classic Cars duo Drew Pritchard and Paul Cowland, The Car Years' Vicki Butler-Henderson and Alex Riley, the guys from Lazy Boy Garage, and actor turned racing driver Kelvin Fletcher. 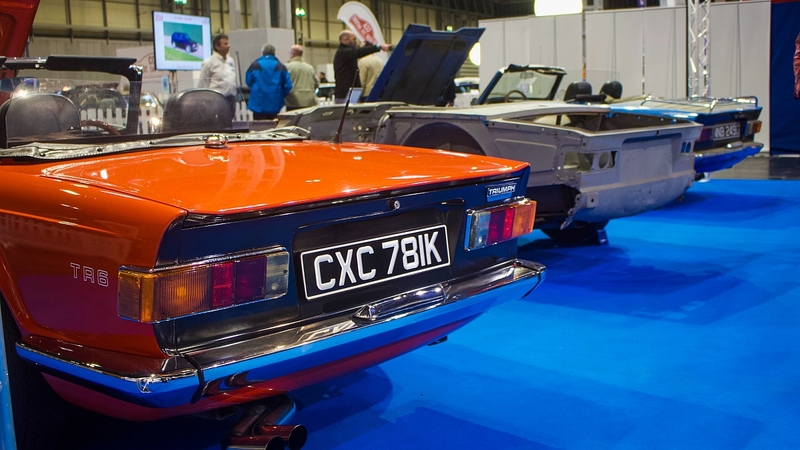 The 2020 Practical Classics Classic Car and Restoration Show, with Discovery will take place from Friday 27th to Sunday 29th March 2019. For more information and updates, visit www.necrestorationshow.com. We will once again publish the advance booking discount code within the club magazine.